Thanks to B Ocean Resort for providing the lovely accommodations to facilitate this review, regardless all opinions expressed below are completely my own. I can't even believe it, but it's true... we have just about a month left until Delainey's due date and during our most recent visit to my Doctor we were told if she decides to make her appearance they won't stop labor... That means we will officially take on the title of "parents" any day now! While my hubby and I are super excited about our little girl entering the world soon, we wanted to celebrate us before she decides to grace the world with her presence. We decided we needed to go on a little getaway and cherish our time together before our little darling steals our attention and after some research I found an awesome place for us to stay somewhat close to home. 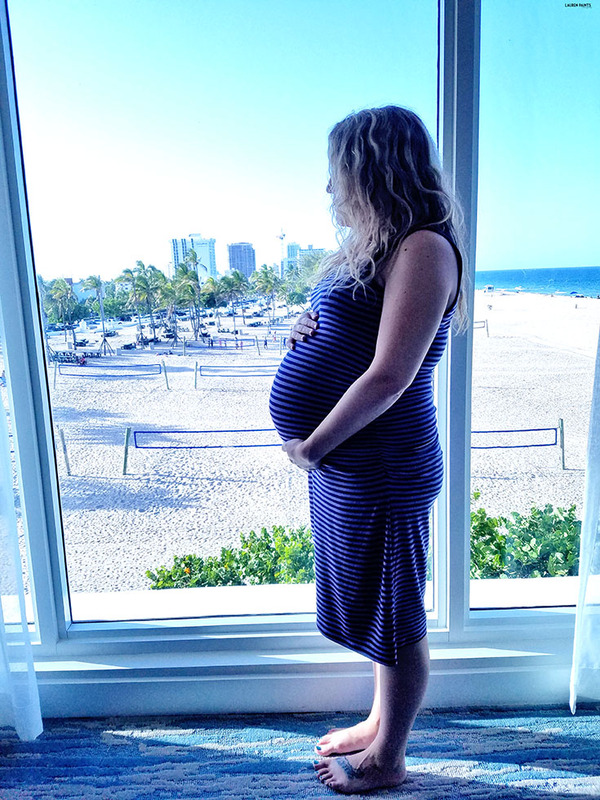 Whenever I read about B Ocean Resort in Fort Lauderdale, I knew this would be the perfect place to spend our "baby moon". While it's actually under renovations at the moment, we were lucky and our room was in tip-top condition. Actually, while we were checking in on Wednesday afternoon, we were told our room was one of the attendants favorite in the hotel and once we walked into our home-away-from-home we immediately knew why. 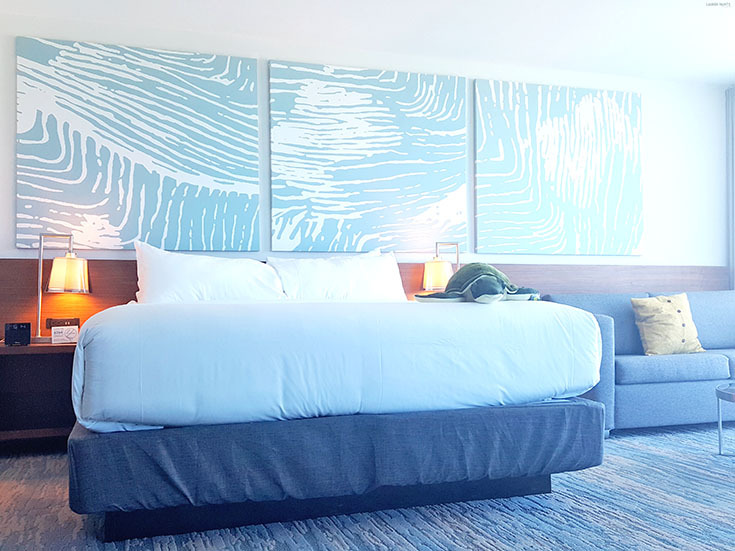 With oversized windows, a stunning view of the pool and ocean, super cool modern furniture and decor, and a cozy, oversized bed, B Ocean was exactly the place we wanted to celebrate our last little bit of time being a party of 2. I will say I was a bit nervous to vacation at a place that was currently undergoing renovations... but honestly, we weren't disturbed by the construction in the slightest. It was a quiet and cozy place to stay, our room was amazing, and while there may have been a little bit of dust in the lobby and a giant wall blocking us from being able to view the construction, that was nothing in comparison to the gorgeousness surrounding us. I absolutely can't wait to head back sometime next year to experience all the beauty the renovated hotel will offer but from what we experienced, I already know it will be amazing. 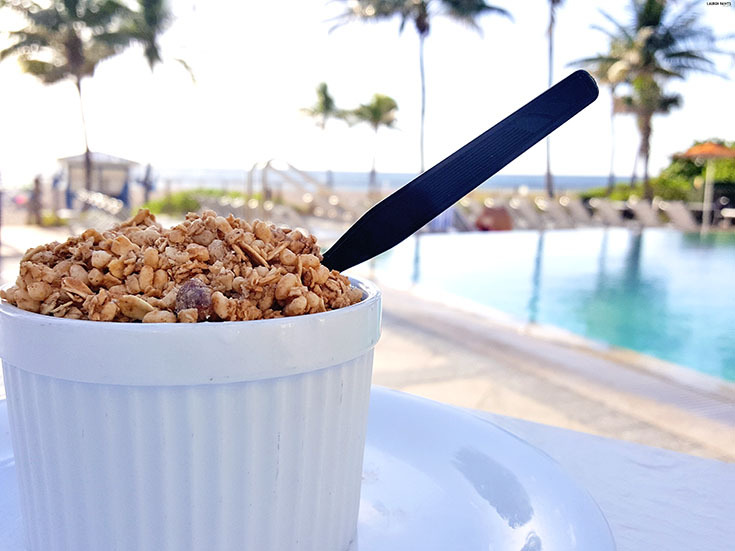 The gorgeous views and cozy surroundings at the hotel were absolutely everything we wanted for our vacation, but I suppose I should share that the "Hatch a Plan to B Humane" Turtle Trek excursion is what really caught my eye when booking our getaway. 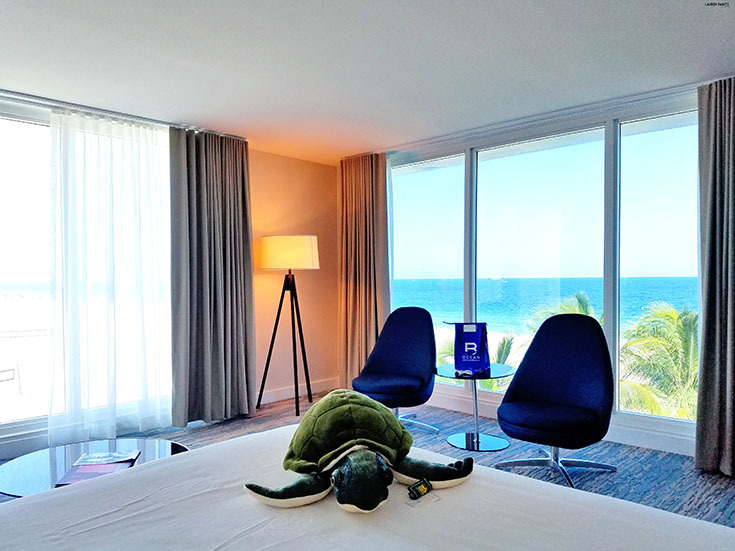 You know I'm always one to jump in and help animals, so when I read they were offering a once-in-a-lifetime experience for guests to help save sea turtles, I was all for visiting Fort Lauderdale and celebrating our time together by doing something good for the environment; the beautiful stay at B Ocean Resort just happened to be a great bonus! With that said on Thursday night we decked ourselves out in black clothes and headed over to the Sea Turtle Oversight Protection (S.T.O.P.) headquarters via transportation B Ocean Resort provided. We started the adventure with a little lecture and were taught all kinds of interesting information about sea turtles. 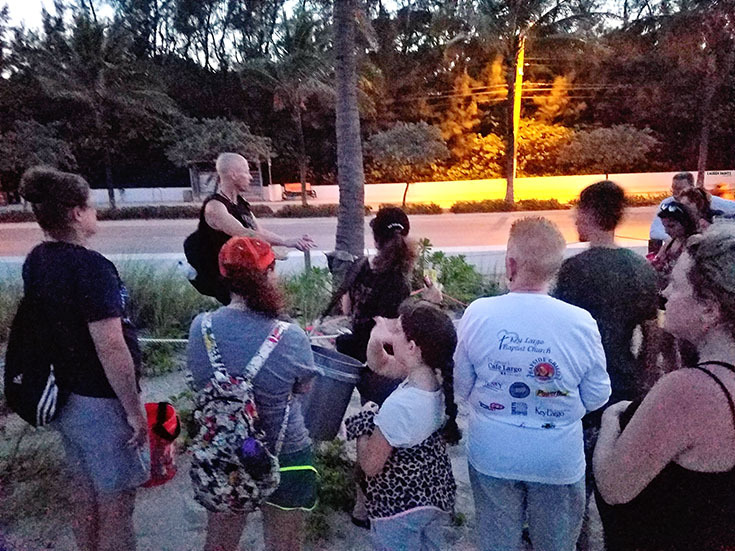 We received an in-depth explanation of their habits, learned why they nest in the same area over and over again, and we even heard some tips on how we can help save sea turtles in our everyday life (side note: start using reusable bags and never have a balloon release near the ocean). While in the midst of getting a turtle-y education, the tour guide actually heard from another member of the S.T.O.P. team that turtles were hatching as the sun was setting. In a mad dash across the street to the beach, we were able to make it just in time to see a slow trickle of itty, bitty baby turtles leaving their nest and heading towards the beach. 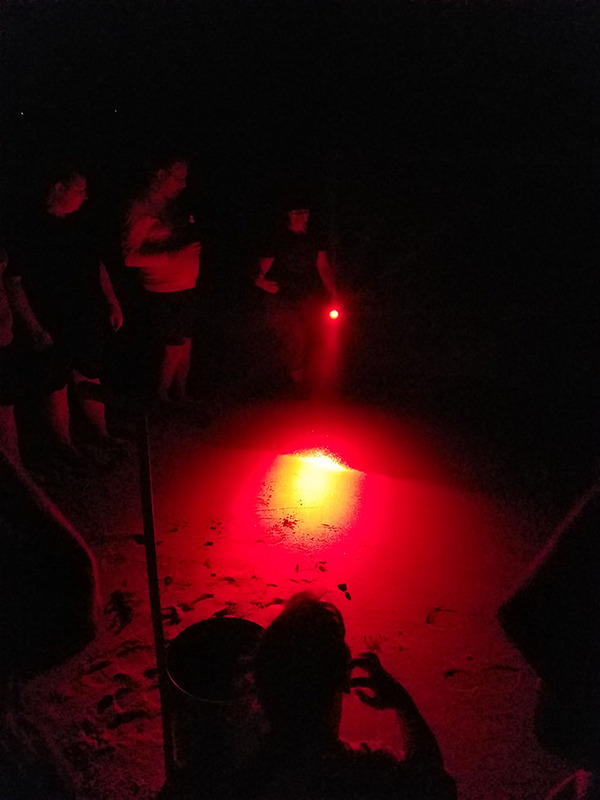 With over 80 saved that evening at the 1st location and even more saved from 2-3 other locations along the beach, it was amazing to be a part of it all. Sadly, we weren't able to actually handle the turtles or take any flash photography (due to Wildlife Commission regulations), we were able to spot the little critters crawling and encouraged the members of S.T.O.P (who are permitted to touch the turtles) to save the ones we saw heading the wrong direction, which was towards busy A1A. 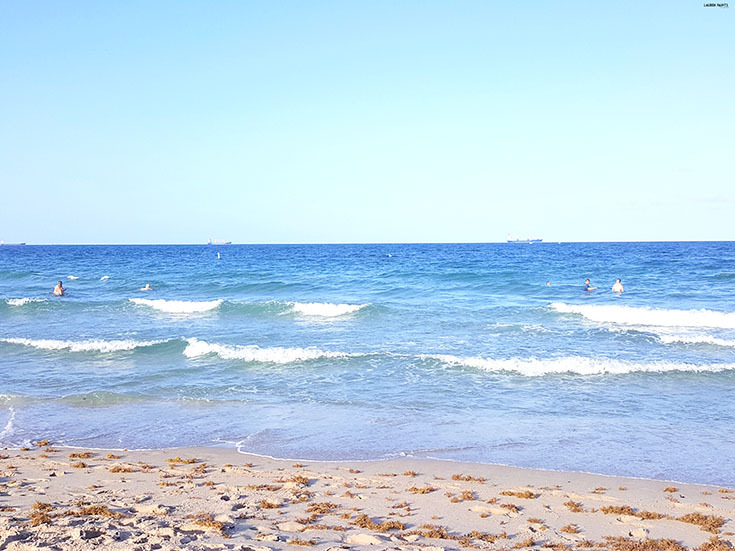 After helping save the tiny cuties from meeting the roadway, we headed the opposite direction towards the oceans edge and watched as they all took their first dip in the water. Our guide let us name each and every little turtle and view it up close before placing it in the water and since we were there to celebrate our daughter, I named our first turtle after her. 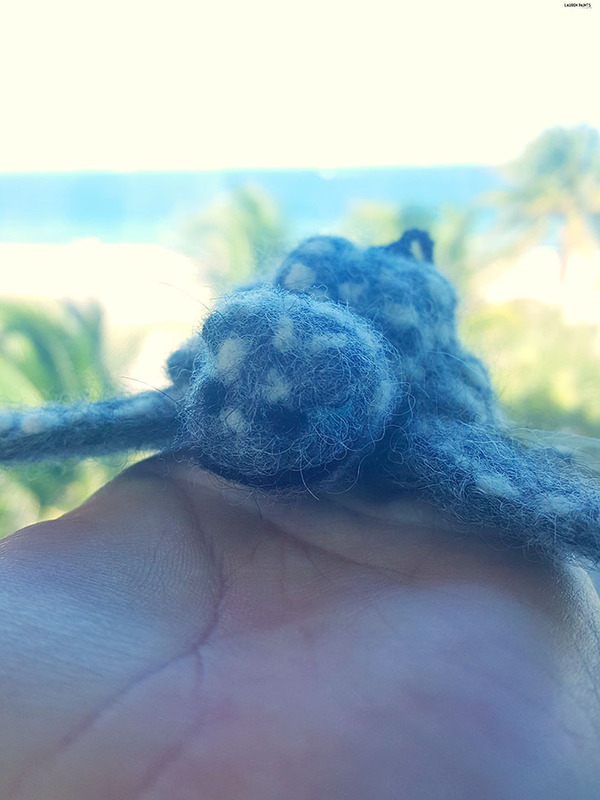 That means there is a tiny little turtle named "Delainey" floating around in the ocean and that's something so special, I'll never forget it. We named a few after loved ones we lost, we named a handful after our nieces and nephews, and then we started getting silly and naming them after our puppies too. It was so fun and everyone on the tour had a good laugh while having the chance to "dedicate" a hatchling to their loved ones! The Turtle Trek was the perfect mixture of relaxing and exhilarating and the most amazing addition to our little "baby moon" vacation. It was an experience that I think everyone should have in their lifetime, something I'll never forget and hopefully one day we'll take our little Delainey along on a trek to experience the wonder herself. It's so amazing watching so many tiny creatures survive with the help of humans, it's something that should happen more often in our world - if you want to find out how you can attend a Turtle Trek, find out more here. 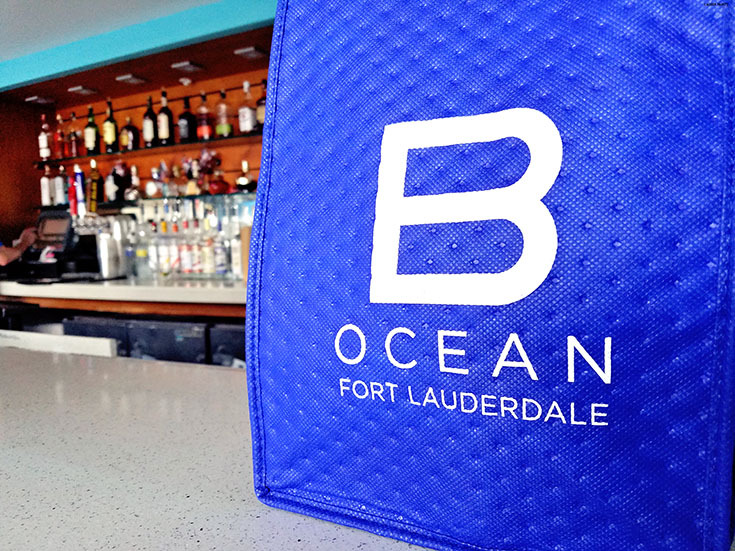 With all of the turtle talk aside, I must say, our experience at B Ocean Resort in Fort Lauderdale was superb. 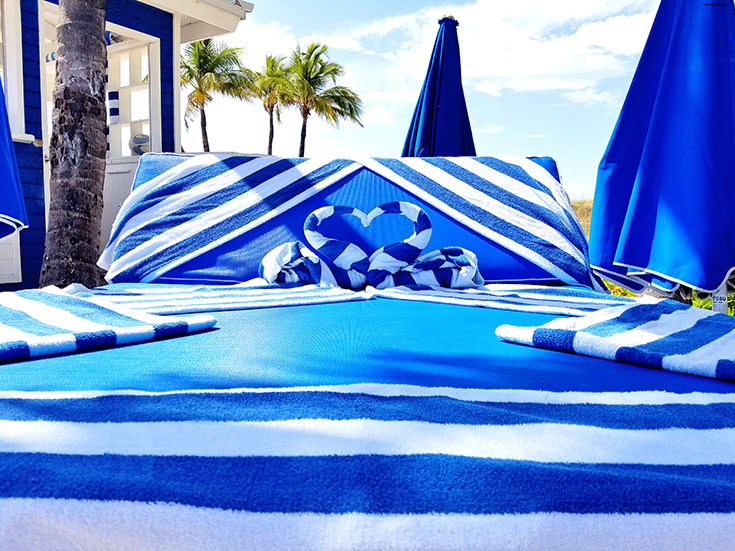 We spent the day following the excursion on the beach directly behind our hotel and with cozy beach chairs included, we felt like royalty laying out soaking up the sun. 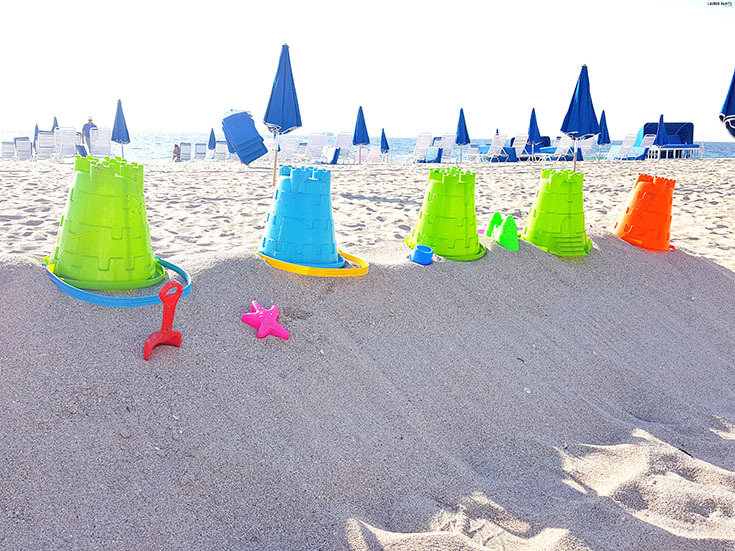 We wondered around the property and noticed they even have toys for little one's sprawled out, tons of towels for guests, and umbrellas for those that would like to rent one. 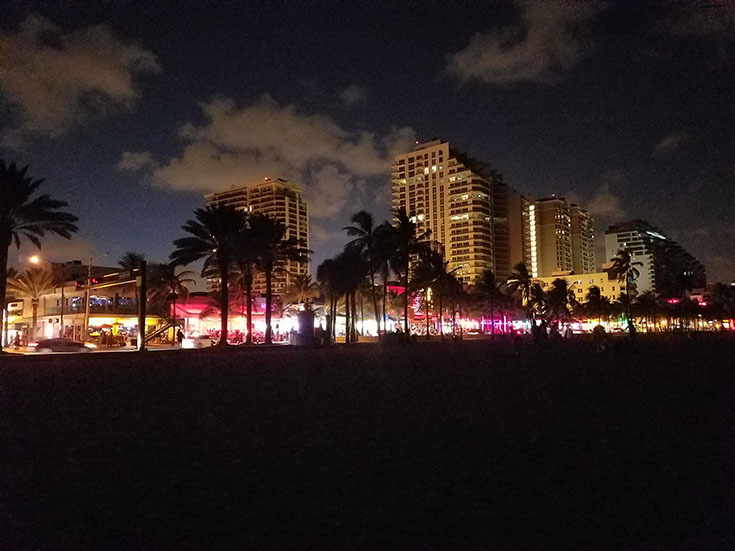 After spending some time relaxing in the cozy chairs, we played in the ocean for a few minutes before I surprisingly had my hand stung by a jellyfish for the first time in my life. Luckily, the staff was super knowledgeable and Baire (the friendly bartender at the Beach Bar & Grill) quickly handed us some vinegar to help me manage the pain of the sting. After that little mishap, we spent more time soaking up the sun, but we instead moved up by the pool. 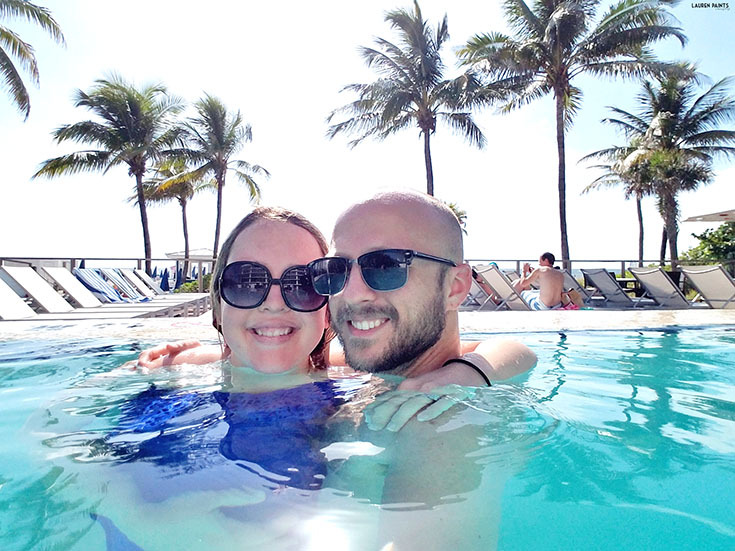 Later in the day, as my husband ordered a drink poolside, Baire took the time to ask him how I was feeling. This genuinely meant a lot to both of us and with a staff that remembers each and every guest, you kind of feel like B Ocean Resort is family and that they genuinely care about their guests. As you can tell, our experience at B was great. 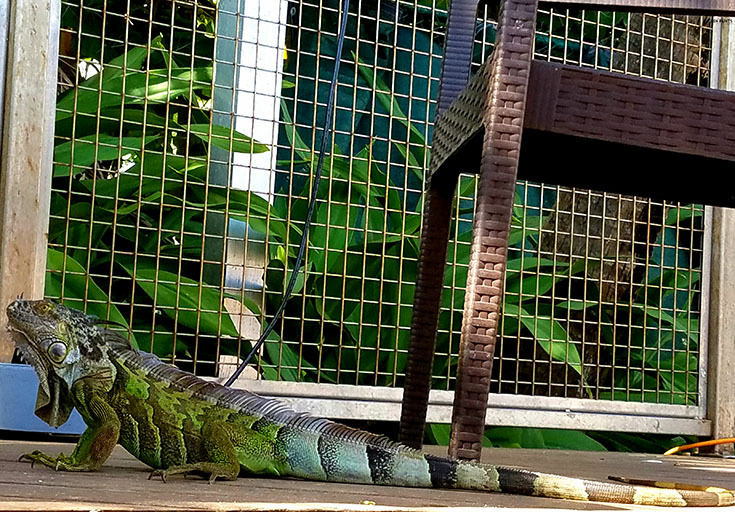 We made friends with a giant iguana, talked to the staff about our fun time on the excursion, and spent hours just enjoying each others company. I can't say anything but great things about our time spent at B Ocean Resort... 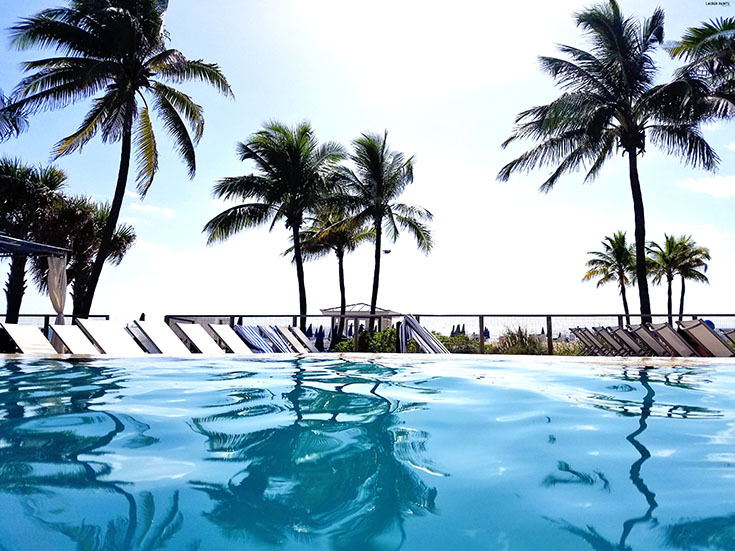 So, if you're looking for a fun, relaxing place to vacation in Florida, I suggest you check out B Ocean Resort in Fort Lauderdale! Our experience was amazing and I wouldn't change a thing, from the food to the views - we loved it all. Although I will say, I'm eager to head back sometime next year to see what the hotel looks like once the renovations are complete. 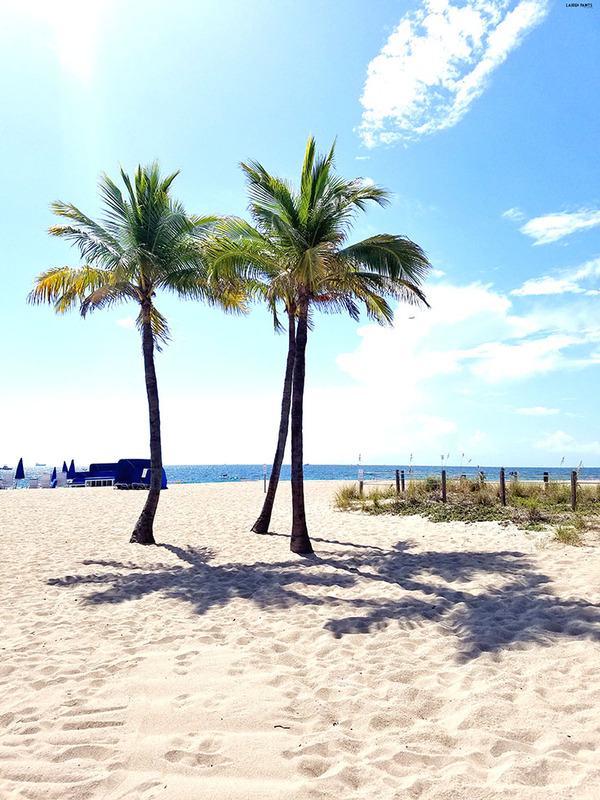 Tell me, have you ever visited Fort Lauderdale or stayed at a B property? I'd love to hear all about your experience in the comments below!